Congress president Rahul Gandhi will be filing nomination papers from Amethi on Wednesday for Lok Sabha Elections 2019, which is scheduled to be held in seven phases beginning April 11. Amethi: Congress president Rahul Gandhi on Wednesday will file his nomination papers from Amethi for upcoming Lok Sabha Elections 2019 and also hold a roadshow in the constituency. 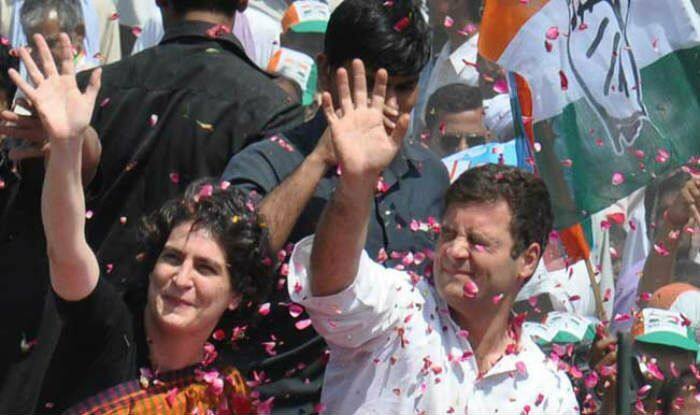 He is likely to be accompanied by his mother and UPA chairperson Sonia Gandhi and sister Priyanka Gandhi, the Congress’ general secretary for Uttar Pradesh (East). The Congress chief, who is contesting from two Lok Sabha seats (Wayanad and Amethi) this time, will undertake a 3-km-long road show from Munshiganj-Darpipur to Gauriganj before filing the nomination, district unit spokesman of the Congress, Anil Singh, informed. Rahul Gandhi has been representing Amethi for the past 15 years. This time again, he will face Bharatiya Janata Party’s (BJP) Smriti Irani who is likely to file her nomination papers from the Lok Sabha seat on Thursday. The parliamentary constituency was won by the Congress president in 2014 general elections against Irani by a margin of over one lakh votes. The seat has long been a stronghold of the Congress, which has not been defeated here in three decades — barring in 1998, when the BJP’s Sanjay Singh defeated Satish Sharma of the Congress by a margin of 23,270 votes. Amethi was regained by the Congress in 1999 when Sonia Gandhi was elected MP from there. This time again, she will be contesting from Raebareli against BJP’s Dinesh Pratap Singh. The UPA chairperson will file her nomination papers on April 11. Last Thursday, Rahul Gandhi filed his nomination from Wayanad in Kerala and said he is fighting the Lok Sabha polls from a second seat in the south beside the party bastion Amethi in the north to send a message of unity and that “India is one”. Amethi will go to polls in the fifth phase on May 6. The Lok Sabha Elections 2019 are scheduled to be held in seven phases, beginning April 11. The counting of votes across India will be conducted on May 23.